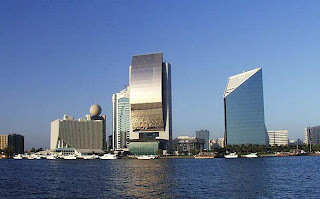 Ghana's Black Stars are expected to camp in the commercial capital of the United Arab Emirate, Dubai ahead of the 26th Africa Cup of Nations scheduled for January 2008. Black Stars manager, Claude Le Roy told GNA Sports that the choice of Dubai was deeply thought of considering the need to have the best facility to prepare the team for the competition with the aim of lifting the trophy. "We need the best facility to be at our peak to win the trophy as all Ghanaians expect. "Defending the choice of venue further, the coach said, "the weather condition in Dubai is 24 degrees Celsius and I do not think that should affect our acclimatization for the tourney".The Stars are housed alongside Morocco, Guinea and Namibia and are expected to camp for 14 days before the biennial party commences at the national stadium, Ohene Djan in Accra on Sunday, January 20. The Stars may however consider camping in South Africa should the unexpected happen. "South Africa has great facilities and a favourable weather and it will be a perfect replacement for Dubai when the need arises". Coach Le Roy told GNA Sports that the responsibility to win the Nations Cup on home soil has got to a fever pitch after the official balloting was held at the Accra International Conference Centre (AICC) last Friday. "I feel we are on the last line after the draw last Friday. Every minute, I think of how to deal with the opponents at the group stage because we must qualify from there to stay on course. "To win the trophy, it means we must win six games and to achieve that means winning all from our group and completing it with the last three".The Frenchman said the Stars must be ready for all teams in their search for the fifth trophy that would equal Egypt's record. "We need to be ready because we cannot afford to be trapped. We must be compact because our opponents will be hoping to catch us on the break and we cannot afford that."